3 of us were new to the Hackathon world and didn't quite know what to expect. Lots of thoughts and ideas in our heads but not a clear path to go. That's when Duncan Gauld explained one of the main needs of Skyscanner: Focus people who travel in group, make their life easier. We had the target and the objective, we only needed to know how. 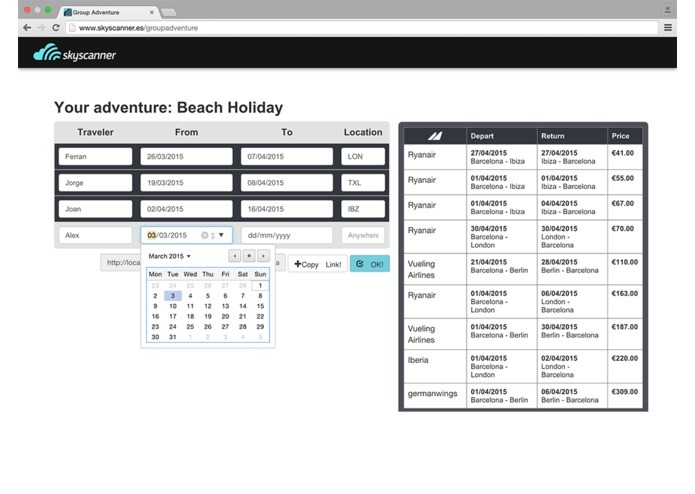 With that idea in mind Skyscanner: Group Adventure was born. 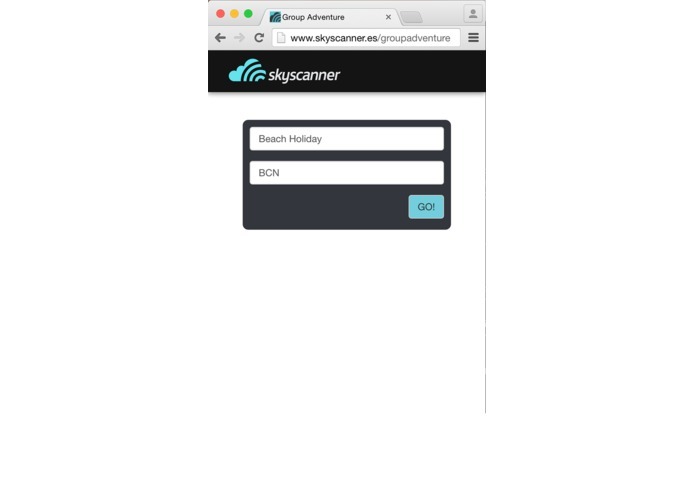 A brand new platform linked to Skyscanner that would make organising your trip and finding the right fly way easier. How? Taking in to account the preferences and availability of every person involved in the trip. 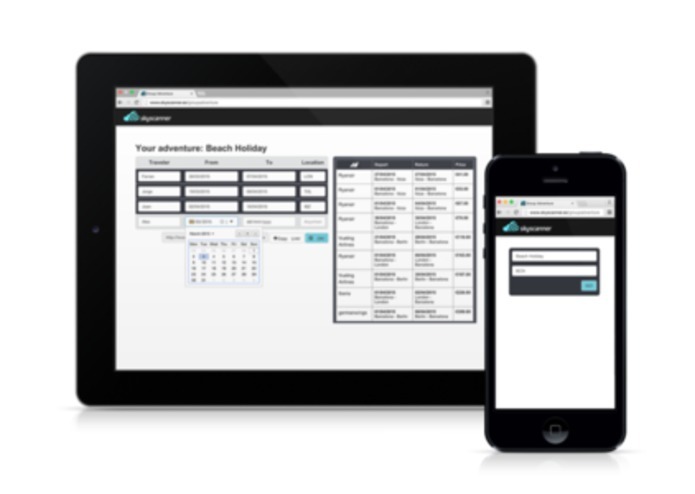 In this website you can create a new event and send it to your travel partners. Then they just have to access it, chose the preferred dates for traveling and the place they want to go. The rest is up to the program. Taking into account the inputs inserted in the left box it will determine which flights would be the best for you and your friends. Those flights will be then displayed onto the right box from were you can click them and be redirected to the company who offers that particular flight. I worked on the overall design of the page as well as in the copy showed to present it.